How to Keep Track of Your Weight Loss (Without Being Obsessed). Weight management is not only about pounds. It is also about how you see yourself and feel about your body. You should learn to enjoy that feeling of physical and psychological improvement. That felling of empowerment you get when you manage your weight appropriately. When you use the scale to monitor your weight loss progress, you probably always end up stressed. Yet, how much you actually weigh is a very debatable question. It depends on what hour of the day you weigh yourself, how much water you are retaining at that specific moment, what you ate last week, and even what you had for dinner the night before. Your weight will also be affected if you are suffering from stress or you are in peace with yourself. There are so many variables affecting your weight at any specific moment that it makes weight a controversial measure of where you are when you are trying to lose weight. Obviously, it is very important to know your weight at very specific times such as when you need to start on medication or modify its doses. You also need to determine your weight if you are going to undergo surgery or when you see an important change in your health. But weight on its own is not a good measure to evaluate how you are doing in terms of figure management. The problem of using only weight as a reference is that you get obsessed about it when you don’t see an important decrease over a certain period of time. You think you are failing, your morale decreases, and you finally lose focus and control. While you are in the process of losing weight, I would use weight only as an additional indicator once a week to help you monitor your results. If you have a lot of weight to lose, you can even wait to use the scale every two weeks. You will certainly see you are losing weight even if you don’t use the scale. Once you have seen and felt you have lost significant weight, you can start checking your weight on the scale more often to keep track and monitor your progress. When you have already achieved your desired weight, you can use the scale several times a week or even daily. This will help you make sure you are keeping your weight under control between your determined limits. 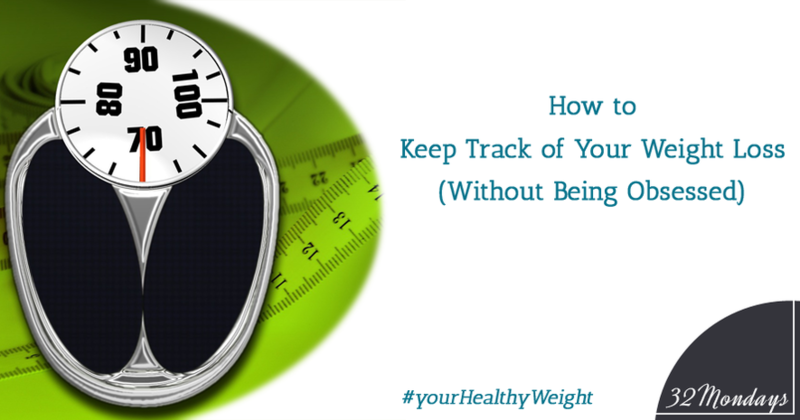 By monitoring your weight closely, you can act fast as soon as you see a deviation from your ideal weight and never allow the extra weight to stay for too long. Weigh yourself once a week during the initial period. Weigh several times a week once we have lost considerable weight. Weigh almost every day during the maintaining period.